« Post chapel at Fort Hancock, Sandy Hook Bay. By Paul Goldfinger (re-posted from 2013 on Blogfinger) We have featured a group of important female photographers. Those of you who follow photography on Blogfinger know that I am a big fan of black and white street photography. 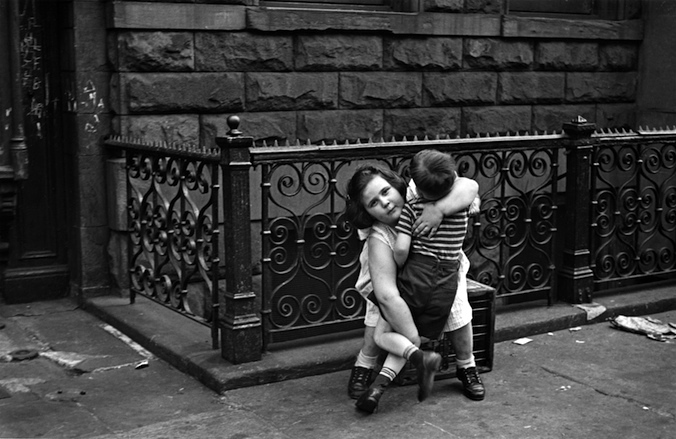 Some of the finest photographers in that genre were active in the 1930’s through the 1950’s in New York City and Paris. 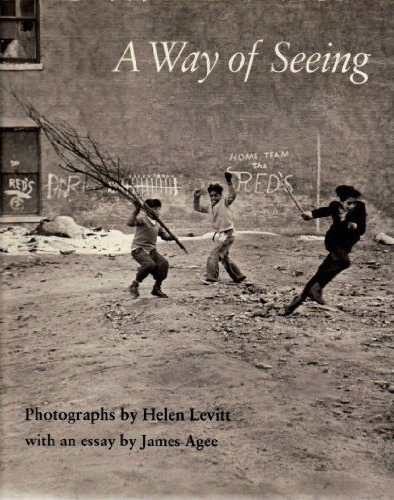 Among the best are Walker Evans, Eugene Atget, Andre Kertesz, Lee Friedlander and our guest photographer Helen Levitt, who was one of the pioneers. Helen Levitt (1913-2009) photographed on the streets of New York City for over 70 years, both in black and white and color. She worked with Walker Evans in the 1930’s, and her work was shown at the first photo exhibit held at MOMA in 1939. She was an innovator in the street photography genre. A documentary film maker named Tanya Sleiman has made a film, “95 Lives,” about Helen Levitt, and we heard about it from Mina Son, the producer, in November. Mina was kind enough to send us two photographs for our blog post and also a link to a very fine short film made by Tanya. I think you will enjoy it, as she tells us about her project. It is a unique treat for our blog. Thank you Tanya and Mina. The fund raising drive mentioned was completed in December 2012. SOUNDTRACK: I guess the thing that has fascinated me about photography, ever since childhood, is the magic—-the freezing of a moment. It is a way to capture that moment and preserve it. Wouldn’t it have been great if photography had been invented one century sooner? We could see Washington crossing the Delaware or Napoleon at Waterloo. 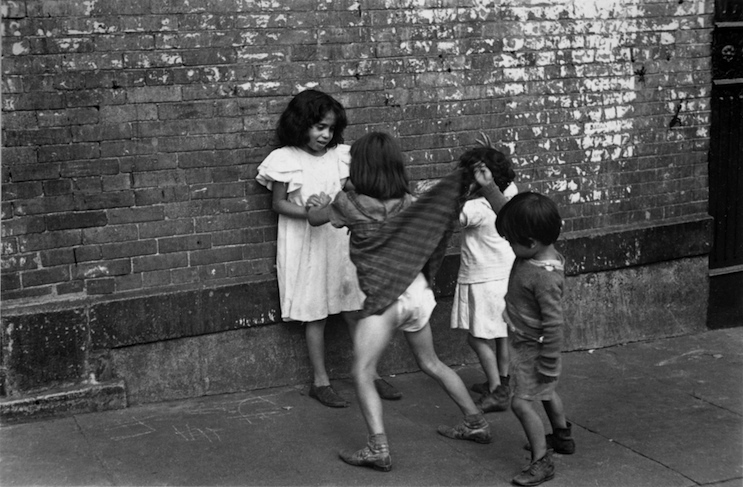 Or, in our own lives, we can see how life was over 50 years ago, as in these images by Helen Levitt where ordinary street scenes back then now become extraordinary. This song matches up with these photos. Paul, These are great photographs, and I want to thank you for sharing these gems and so many others you have posted on Blogfinger. I have always loved those early street shots, particularly as a person who grew up in some of those New York City communities. Its funny, I look at those shots and appreciate their artistic and journalistic value, but I also often go looking to see if I might recognize the street or the kids or by chance find myself in one of those old photos as a child. Thanks so much for sharing this.